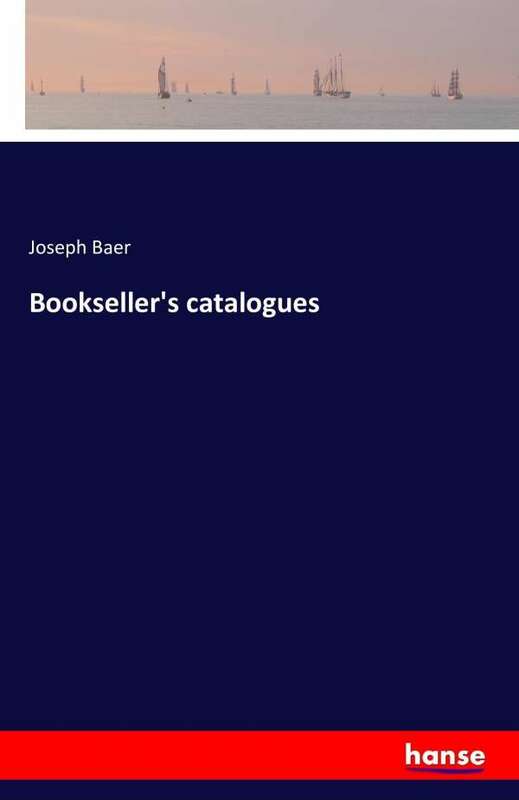 Der Artikel Joseph Baer: Bookseller's catalogues wurde in den Warenkorb gelegt. Ihr Warenkorb enthält nun 1 Artikel im Wert von EUR 43,90. Bookseller's catalogues is an unchanged, high-quality reprint of the original edition of 1885.